The Gettysburg Men's Lacrosse team is leading a fundraiser to help raise awareness and support a cause that struck our community in late 2017. We lost an incredible member of our athletic training staff to cholangiocarcinoma cancer. 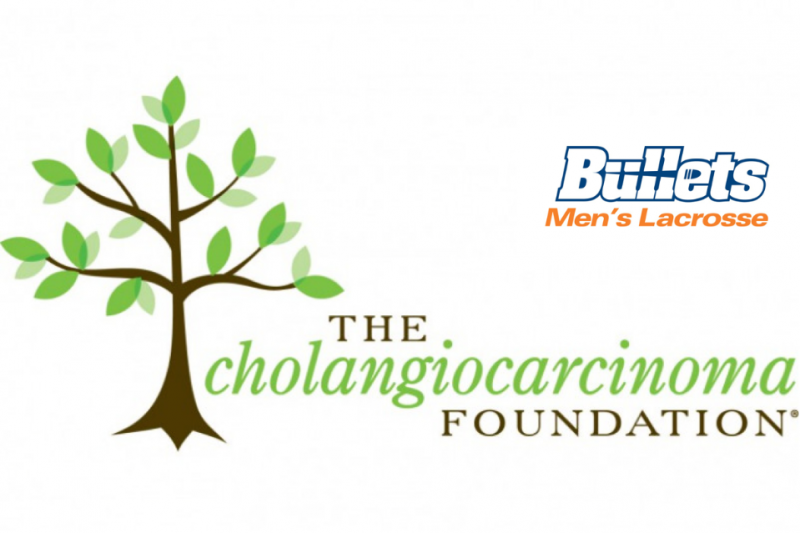 Our goal is to raise at least $5,000 by Memorial Day to donate to The Cholangiocarcinoma Foundation. The Foundation's mission is to find a cure and improve the quality of life for those affected by cholangiocarcinoma (bile duct cancer). More information can be found on their website here. Our goal comes from the life Kerry Garrett lived. Kerry, a beloved member of the Gettysburg College Athletic Training Staff and Department of Athletics, was diagnosed with an aggressive form of cancer called cholangiocarcinoma in June 2016. With a determination and energy that belied the grim diagnosis, she carried on her duties at Gettysburg while receiving treatment. It was the typical character of a woman who helped so many while she was alive and put the wants and needs of others in front of her own. She passed away quietly at her home with loved ones by her side on Nov. 16, 2017. Garrett was 40 years old. The full article can be read here. Please help us reach our goal of $5,000 in honor of Kerry.